Superheroes have been a part of American culture ever since Superman made his dynamic debut in Action Comics No. 1 in June of 1938, and 80 years later the Man of Steel and his other four-color cohorts have never been more popular. Images of Wonder Woman, Iron Man, Batman, and Captain America are ubiquitous in today’s culture, adorning everything from T-shirt to toilet seats. The characters’ dynamic exploits dominate media, drawing in billions of dollars to the coffers to their corporate overlords through films, video games, television series, animation, graphic novels, and yes, even funny books. And the masses eat it up as fast as the commercial arts can dole it out it, but how do fine arts process such pop-culture icons as Wonder Woman and Superman? That is the question Crystal Bridges Museum of American Art asks and seeks to answer with its latest exhibition “Men of Steel, Women of Wonder,” which debuts Feb. 9 and runs through April 22. The works of Renée Cox, Mel Ramos, Laurie Anderson, Mike Kelley, Jim Shaw, Dara Birnbaum, Roger Shimomura, Jacky Tsai, Enrique Chogoya, Michael Ray Charles, Raymond Pettibon, Pope. L, Norman Rockwell, and more will be on display in the exhibition that is thematically organized in four large sections. “The Heroes We Know” focuses on familiar representations of the characters. “Origin Stories” places the characters into the culture time frame from which they emerged: The Great Depression and World War II. “Glimpsing Humanity,” explores the characters’ symbolic power and vulnerability. “Defender of Innocents” explores the ethical and moral values the characters represent. Along with the exhibition, Crystal Brides welcomes a series of guest conversations and lecturers, including exhibition artists, Aphrodite Désirée Navab and Fahamu Pecou at 7 p.m. Friday. 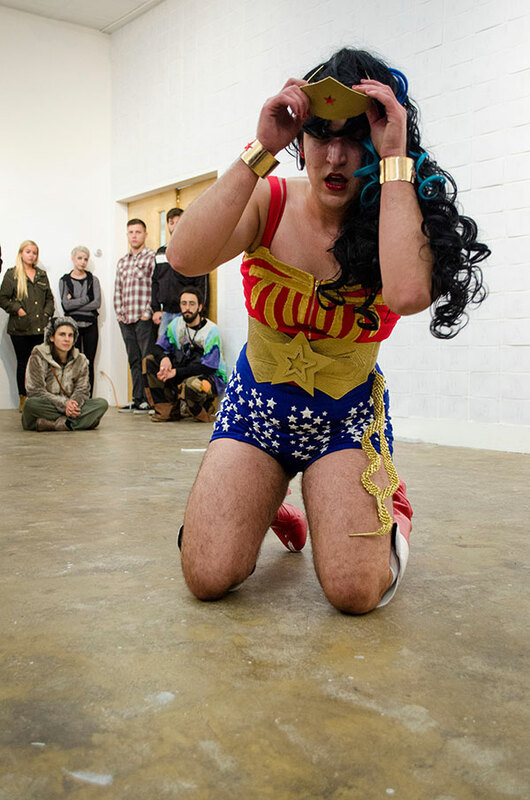 Navab, an Iranian-American artist whose family fled Iran during the Islamic revolution of 1978-79, said he relates to the fictional loss the character of Superman feels over the destruction of his homeward of Krypton. 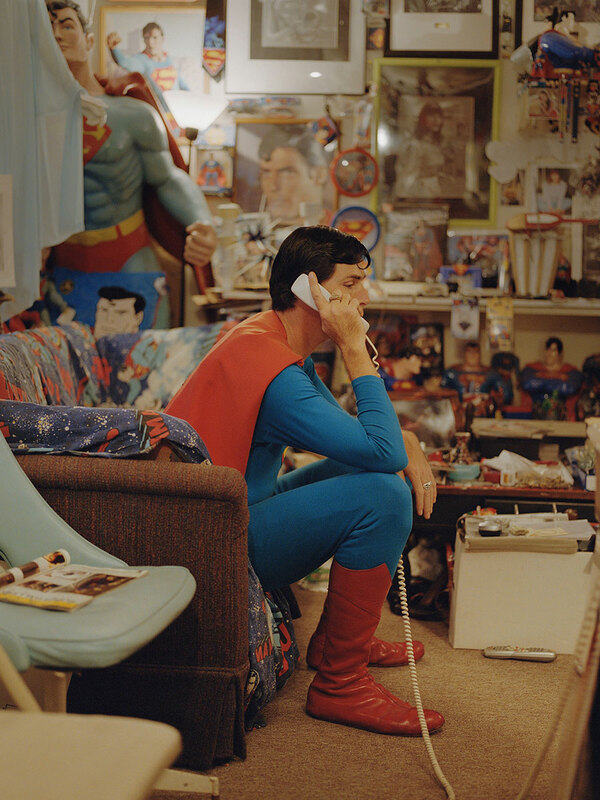 “I identified with [Superman’s] irreparable loss of family and homeland,” Navab said. Conversely, Pecou’s Nunna My Heroes: After Barley Hendricks’ Icon for My Man Superman critiques Superman’s heroic status while paying tribute to an artistic hero. “In the Black community where issues like oppression, poverty, violence, and other traumas persist, Superman’s nonappearance is glaring. My character subverts the Superman ideal by becoming his hero,” Pecou said. Benedetti said he was excited that Crystal Bridges procured bound copies of Action Comics No. 1 and Sensation Comics No. 1, the first cover appearances of Superman and Wonder Woman respectively, on loan from a private collection. Afterschool Art Class – Caped Crusaders, Thursday, Feb. 7, 14, 21, 4-5:30 p.m.
Homeschool Friday Fun – Superheroes, Friday, Feb. 8, 15, 22, 2-3:30 p.m. Opening Lecture – Men of Steel, Women of Wonder, Friday, Feb. 8, 7-8 p.m.
Art by the Glass – Comic Posters, Friday, Feb. 22, 6:30-8:30 p.m.
Superhero Film Series – Superman (1978), Thursday, Feb. 28, 7-9 p.m.
Film, Performance, & Discussion – Dara Birnbaum & Sarah Hill, Friday, March 8, 7-8 p.m. Studio Squad – Comic Drawing, Saturday, March 9, 4-5:30 p.m.
Book Club – Superman: The High-Flying History of America’s Most Enduring Hero by Larry Tye and Scott Brick, Wednesday, March 13, 1:30-3:30 p.m.
Preschool Playdate – Superhero Showdown, Thursday, March 14, 11:30 a.m. to 2 p.m.
Film Series – Heart of a Dog by Laurie Anderson, Thursday, March 21, 7-9 p.m. Distinguished Speaker Series – Laurie Anderson, Friday, March 22, 7-8 p.m.
Superhero Film Series – Wonder Woman (2017), Thursday, March 28, 7-9 p.m. Adult Workshop – Mosaic Workshop with Steven Paul Judd, Sunday, April 7, 1-5 p.m. Spotlight Talk – Comic Writer Paul Dini, Thursday, April 11, 7-8 p.m.
Homeschool Tour and Art – Comic Art, Wednesday, April 17, 1-3 p.m.
Art Night Out – Men of Steel, Women of Wonder, Friday, April 19, 6-11 p.m.